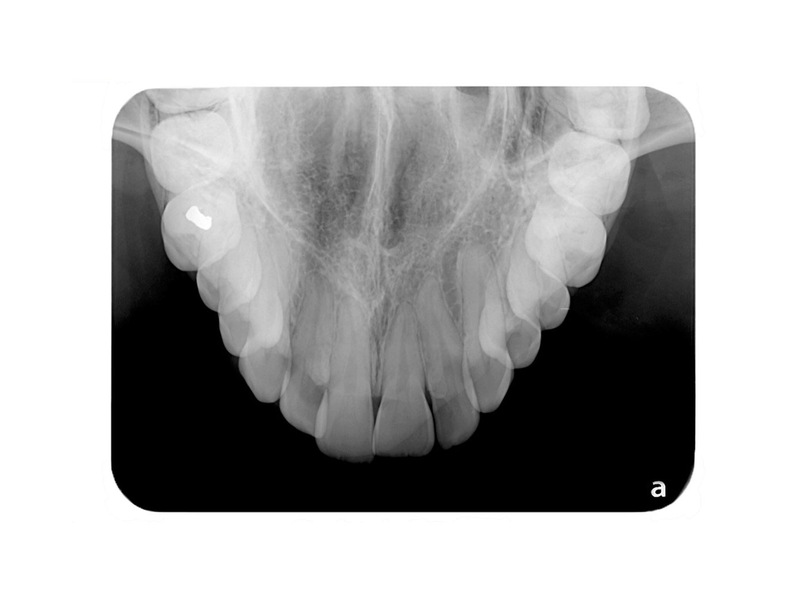 ScanX Intraoral Digital Radiography System is capable of reading images simultaneously from 4 PSPs in seconds. 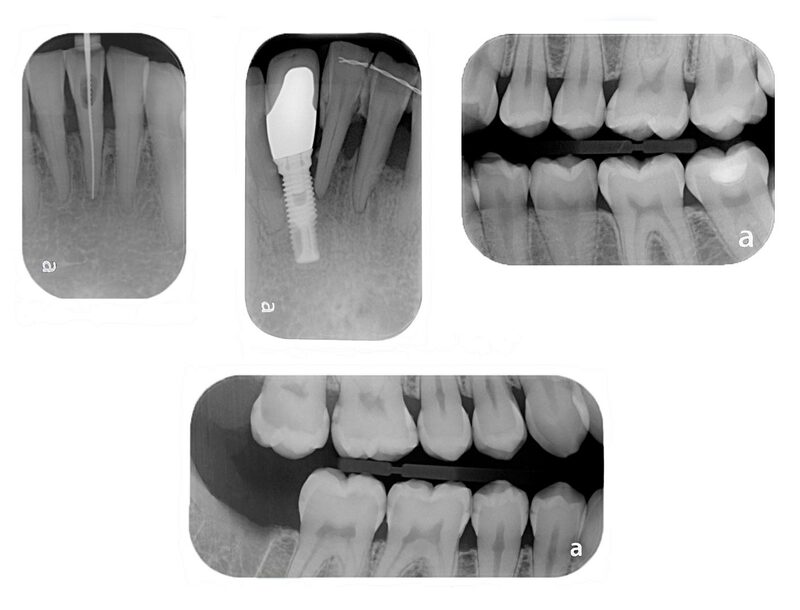 This centralized intraoral workhorse is an efficient four track system that accepts intraoral PSP sizes 0, 1, 2, 3 and 4 for patients of all ages and anatomies. 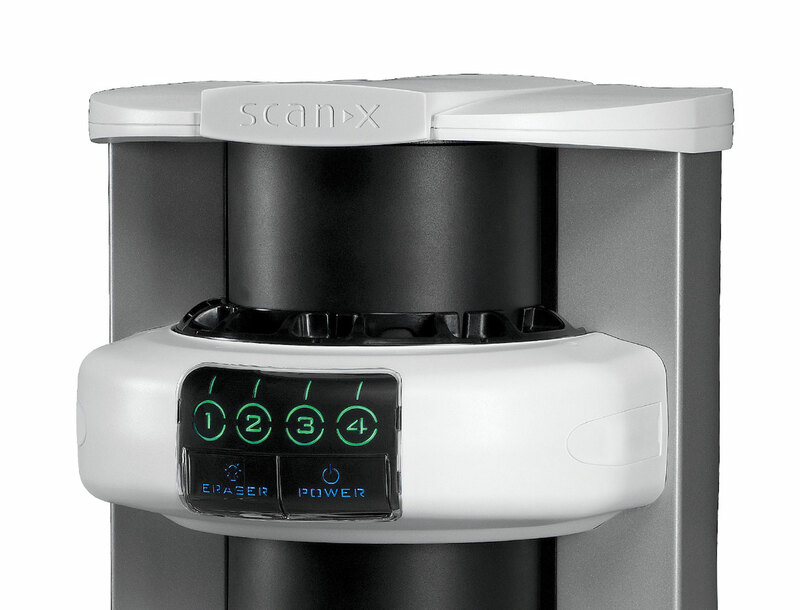 With ScanX PSPs, you never miss important structures due to their larger, 100% active diagnostic area. 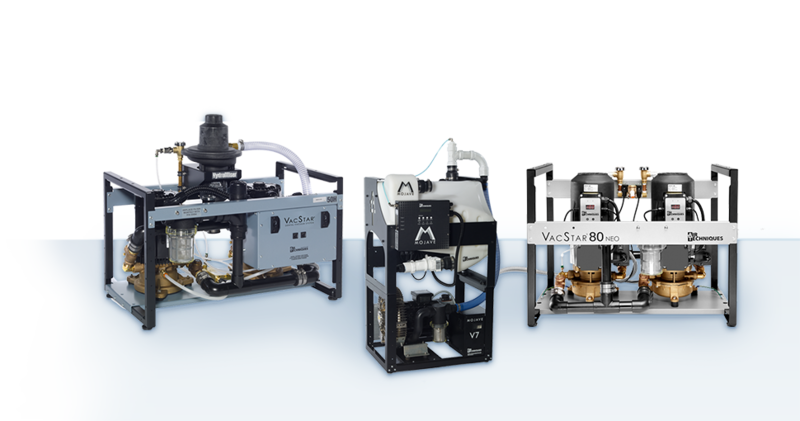 This means increased diagnostic capabilities along with greater patient comfort thanks to these wireless, wafer-thin PSPs. 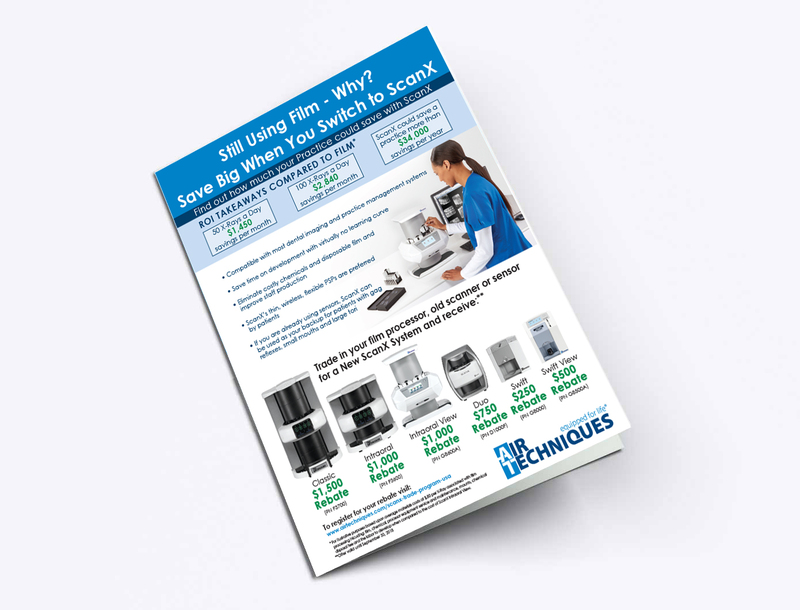 ScanX delivers crisp, sharp images in up to 18 lp/mm true resolution, meeting the needs of all diagnostic requirements. 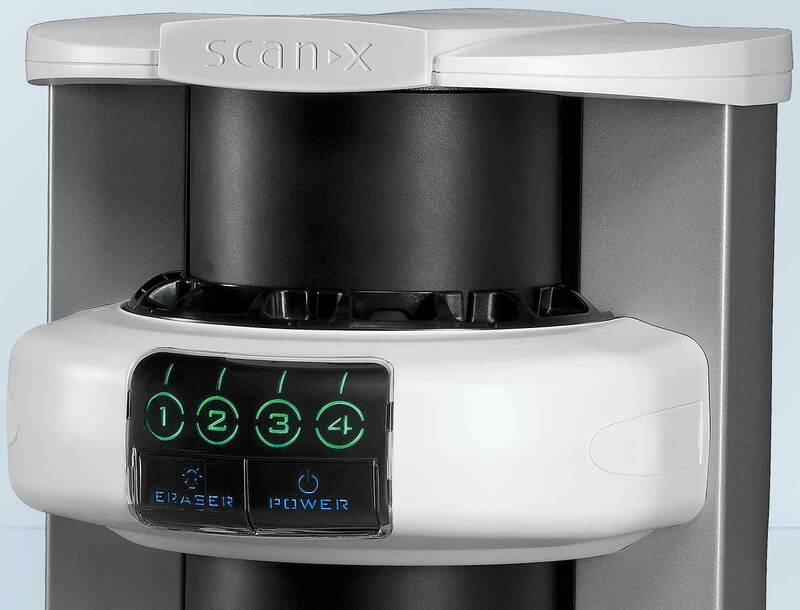 Capture all areas of your patient’s anatomy thanks to ScanX PSPs that have a 100% active surface area. 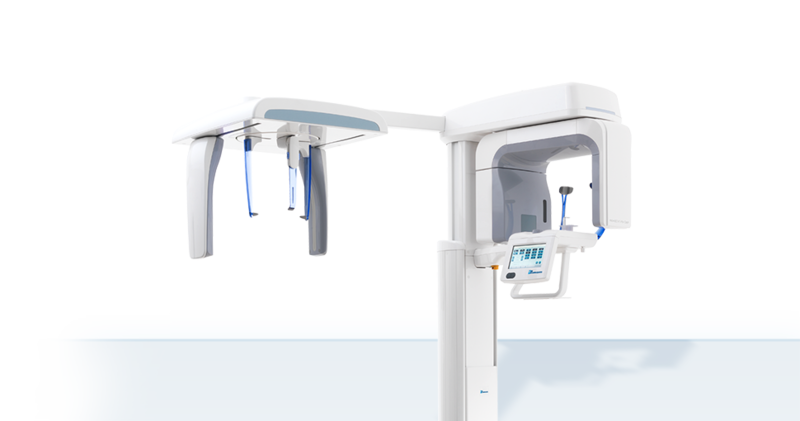 This means you capture up to nearly 40% more anatomy than with the comparable sized wired sensor. 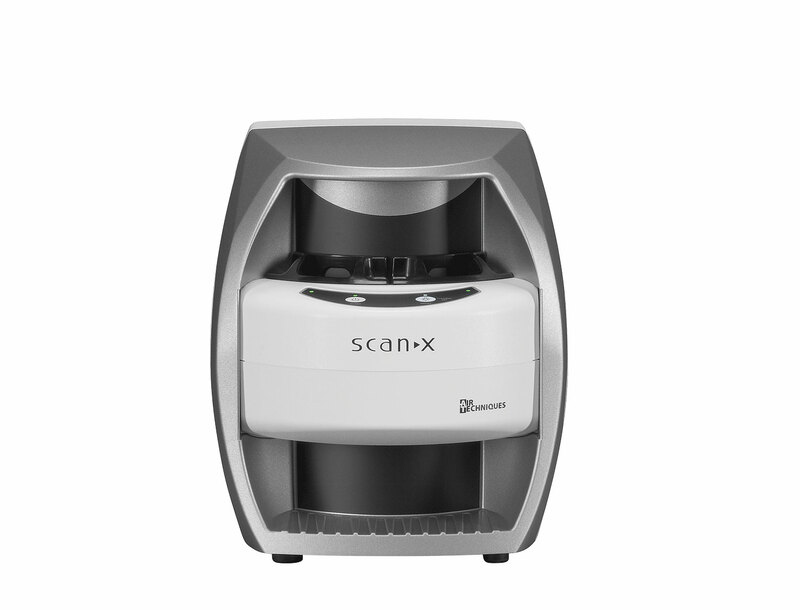 Once a PSP has been inserted into ScanX, the sharp, crisp image appears on your screen in seconds. 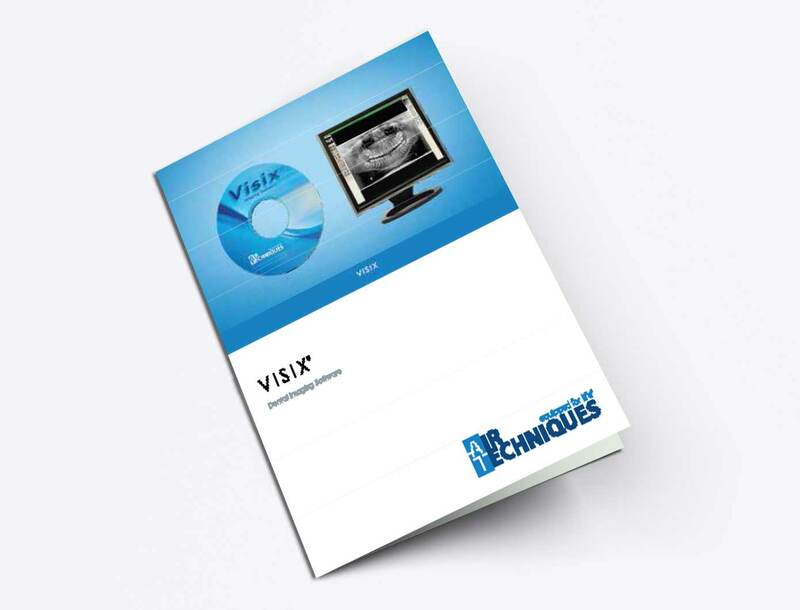 Your digital images are ready to be reviewed, shared, archived or emailed. 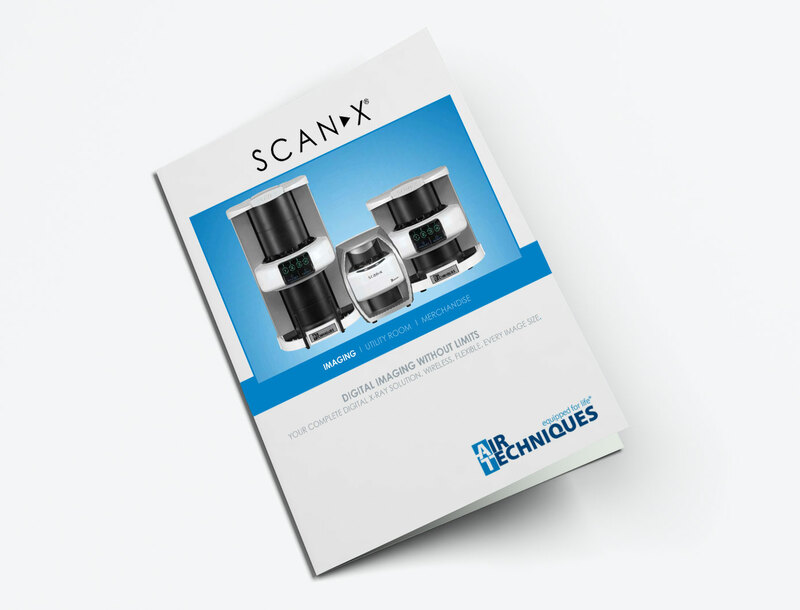 "ScanX provides an ideal digital imaging solution for your dental practice. 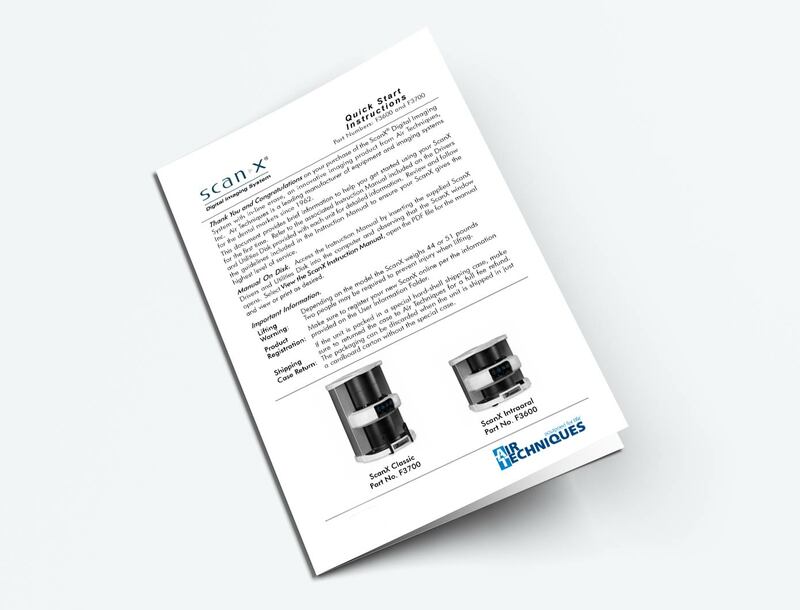 Its wireless, flexible PSPs offer ideal comfort for your patients, while producing high quality diagnostic images in seconds"
ScanX PSPs are 30 times thinner then wired sensors; flexible, with rounded corners that provide optimum comfort for your patients. 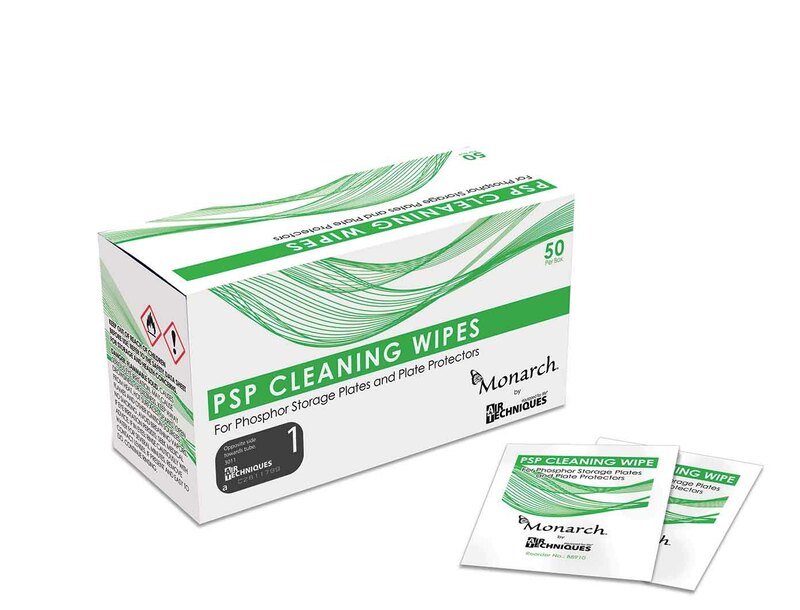 You, your patients and staff are all protected by ScanX barrier envelopes that 100% hygienically seal each PSP. 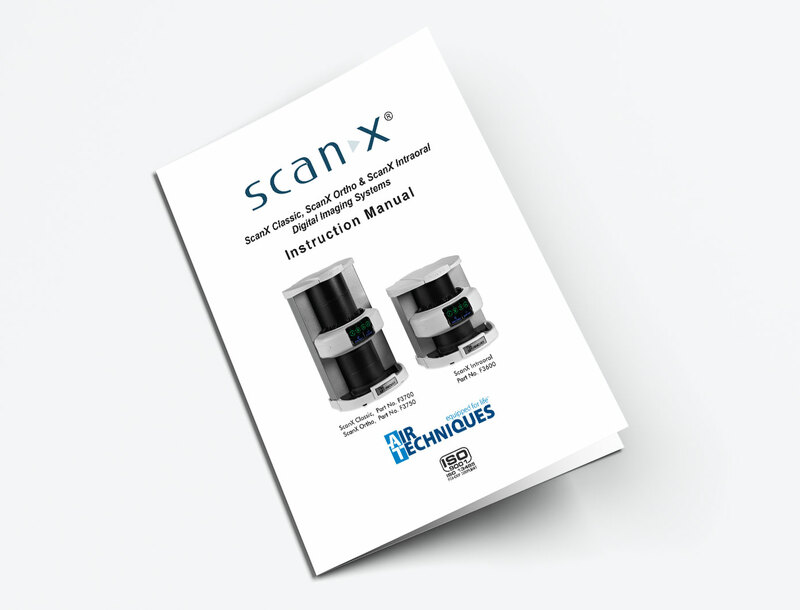 A film-like workflow will enable your staff to confidently start using ScanX with virtually no learning curve and will result in fewer retakes. 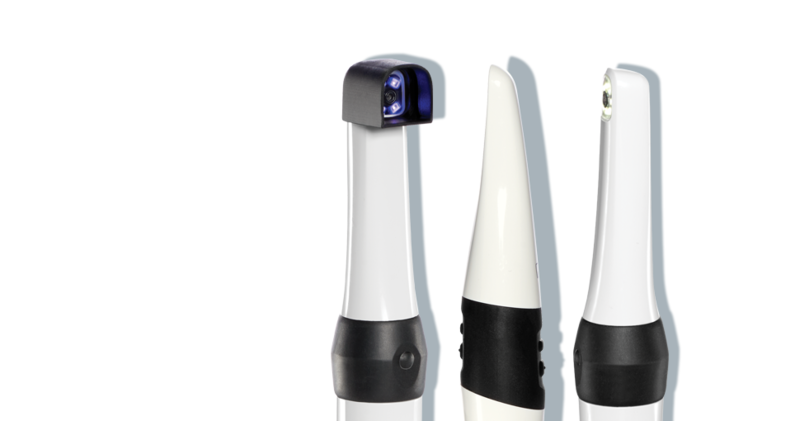 The thin, wireless PSPs are durable and immediately ready to be used again thanks to the automatic read and erase technology. 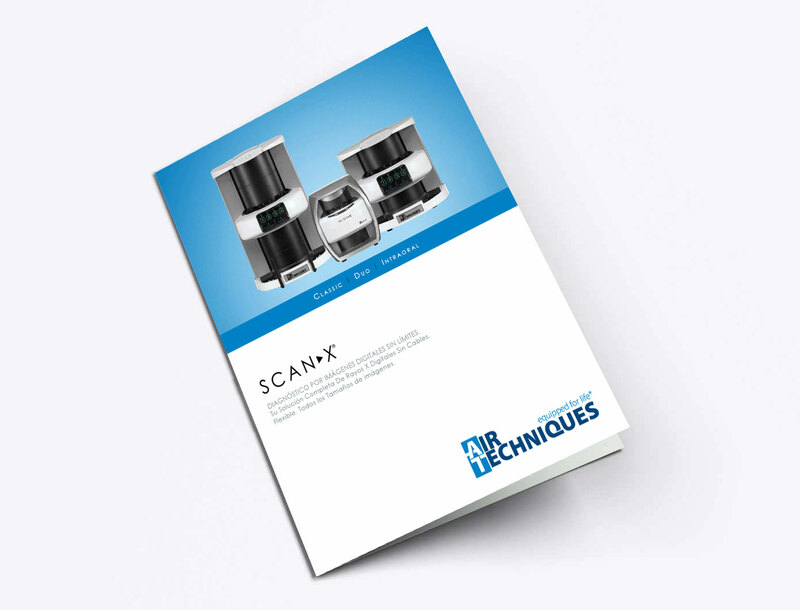 ScanX is the most economical digital solution for any practice. 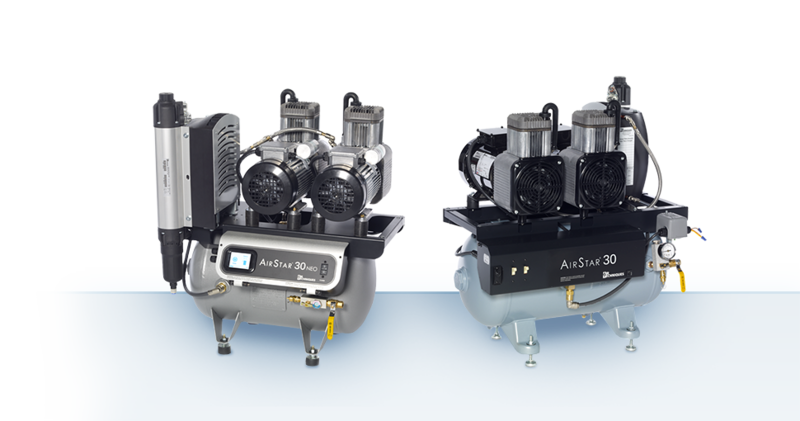 Easily installed, it will work with your existing X-Ray system, AC or DC. 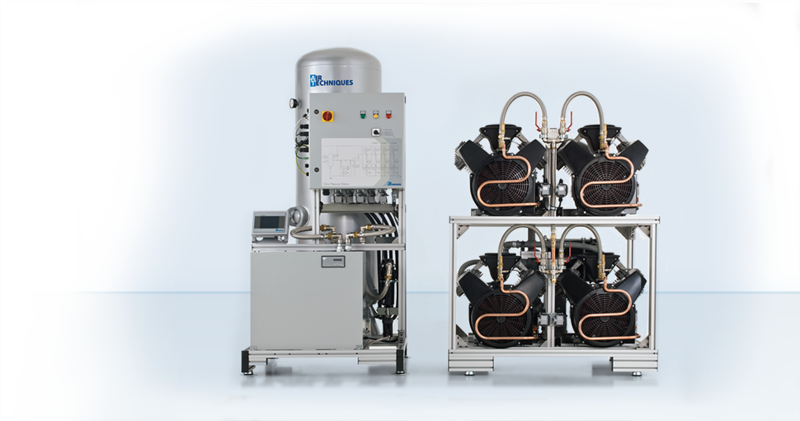 Eliminate the hassle and maintenance cost of the film processor and all of its chemicals. 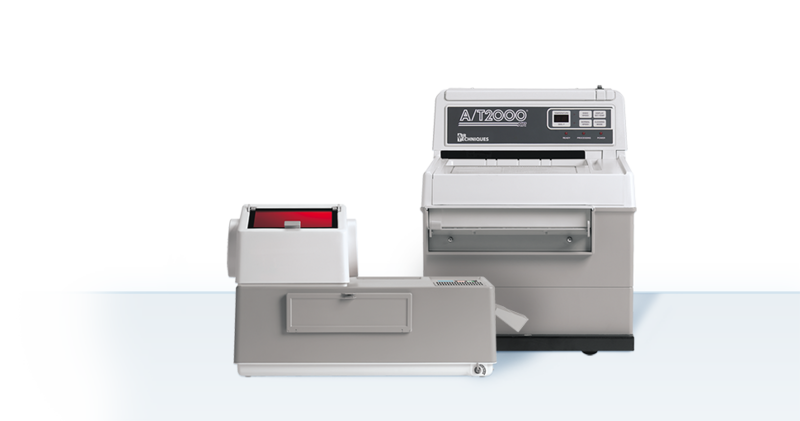 The durable PSPs require no annual maintenance fees or costly insurance and can be reused hundreds of times. 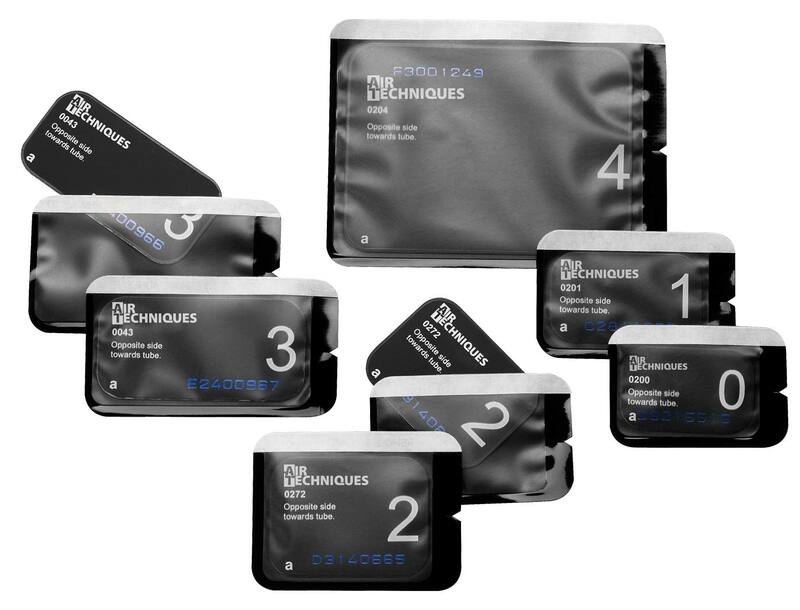 Includes: USB cable; power supply and cord; 4 each size 2 PSP guides; 1 each size 0, 1, and 3 PSP guides; 18 each size 2 PSPs + 2 size #0 plates; 300 size #2 + 100 size #0 barrier envelopes; 1 transfer box for transporting exposed intraoral PSPs. 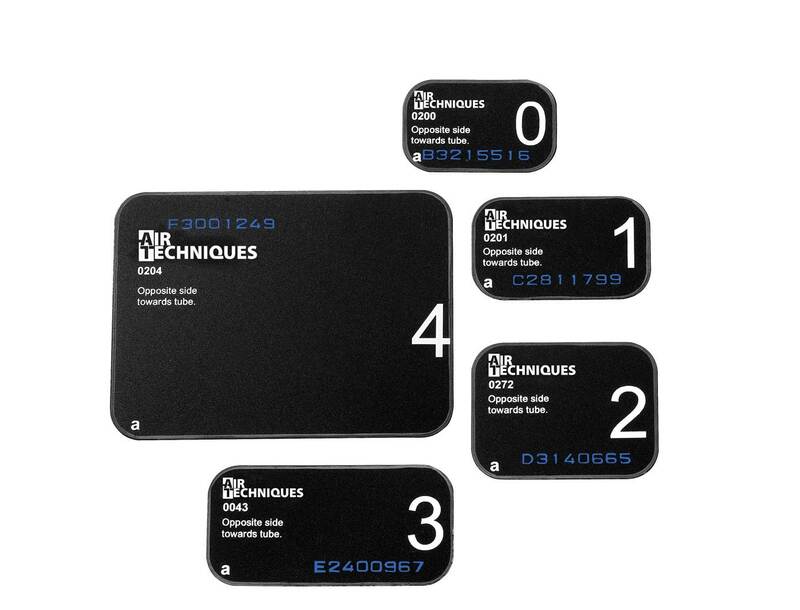 Windows XP Professional with Service Pack 3 or later for an Intel 32-bit processor; Microsoft Windows XP Professional 64-bit Edition with Service Pack 2 or later for an Intel 64-bit extended (x64) processor; Microsoft Windows Vista Business, Enterprise, or Ultimate with Service Pack 2 or later for an Intel 32-bit or an Intel 64-bit extended (x64) processor; Microsoft Windows 7 Professional, Enterprise, or Ultimate with Service Pack 1 for an Intel 32-bit or an Intel 64-bit extended (x64) processor; or Microsoft Windows 8 Professional or Enterprise for an Intel 32-bit or an Intel 64-bit extended (x64) processor. 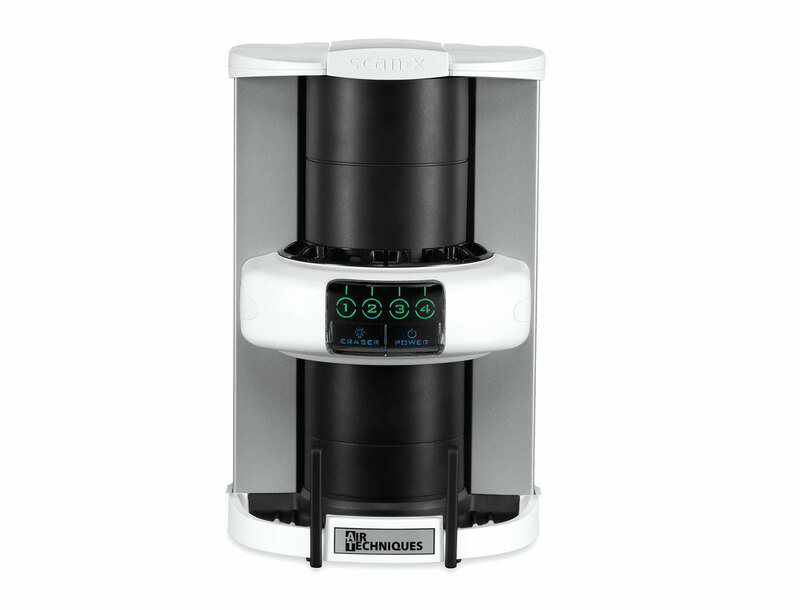 This Air Techniques dental product is warranted to be free from defects in material and workmanship for a period of 24 months from the date of installation by authorized Air Techniques' dealer service personnel. 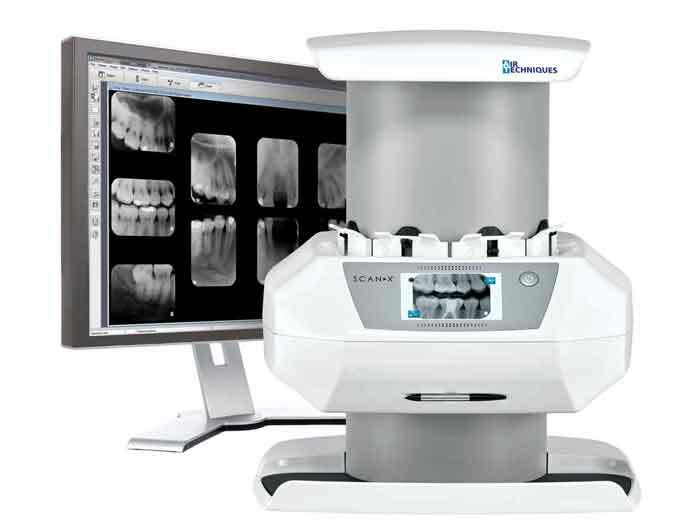 ScanX Classic Digital Radiography System is capable of reading intraoral and extraoral images. 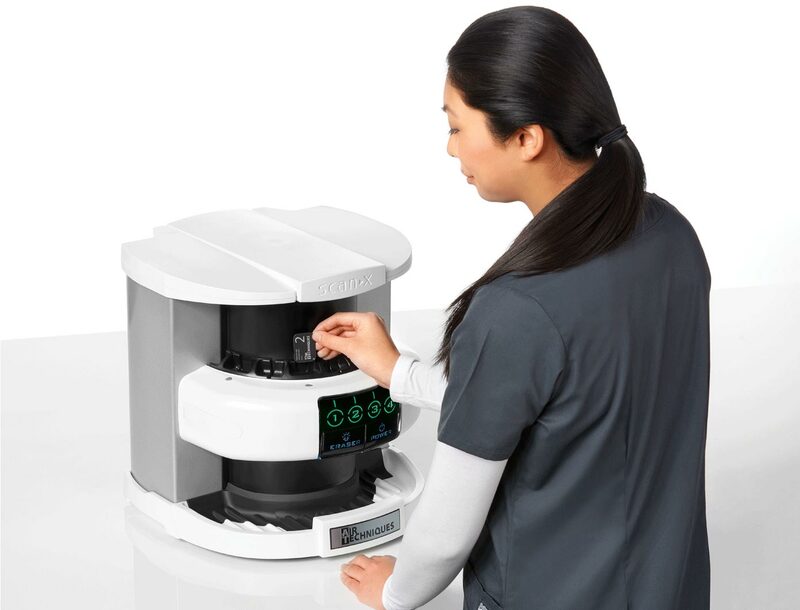 ScanX Duo Digital Radiography System delivers chairside, crystal clear images in seconds.